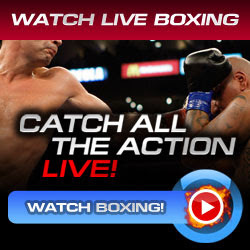 Mexican fighter Abner Mares won by 12-round majority decision victory against Joseph Agbeko of Ghana in the Bantamweight Tournament Final of Shosports live from Hard Rock Hotel and Casino in Las Vegas, Nevada, USA. Abner Mares remains undefeated while Joseph Agbeko earned the third loss of his professional boxing career. Abner Mares is the new International Boxing Federation (IBF) Bantamweight World Champion. Mares got a cut above on his left eye due to accidental clashing of head in round 6. Agbeko down twice in the fight, first was in the first round when he got a caught by the left hand at 35 seconds time remaining but I think that was a split not a knock down and the second was in the 11th round, Abner Mares landed a body shot but it was a clear low blow but referee Russell Mora counted Joseph Agbeko resulting to Agbeko's camp started complaining. The two knockdowns made by Abner Mares are mistakenly judged by the referee, it was all the low blows that started Agbeko slowed down in the fight. The low blows made by Mares can't be counted but why referee Russell Mora didn't deducted a point or even to cleared out things happened in the ring, that should be investigated.